Ingebritsen fell into sound engineering by producing concerts of his own music and started working professionally in around 2002 where he began work at the Chicago Cultural Center where he cut his teeth doing sound for a wide spectrum of musical and theatrical acts in some of the most challenging rooms imaginable. Now he is one of the most sought after engineers for new music in Chicago working with award winning groups such as eighth blackbird, International Contemporary Ensemble, Cube, Fulcrum Point, Del Niente, Spektral Quartet, and MAVerick to name a few. He lives by a philosophy in which the sound engineer is not just a technician who passively sets sound levels, but an additional member of the ensemble actively engaging in the performance of the piece and using the sound system and room as an expressive tool to enhance the musical experience rather than just a way of making things louder. He prefers the title sound designer as he sees his role to be a creative and aesthetic one rather than just a technical one. He has premiered pieces and consulted on the implementation of electronic and micing techniques for Steve Reich, Bang on a Can, Steve Mackie, and John Luther Adams. He has traveled extensively and done sound in some of the great concert halls of the world as well as having designed sonic concepts for non-traditional spaces such as the J Pritzker Pavilion in Chicago where he mixed the Steve Reich 75th birthday celebration using the Pavilion’s 5.1 setting and the Park Avenue Armory where he was part of a team of acousticians and engineers who developed the amplification concept for the first Tune-In festival in 2011. 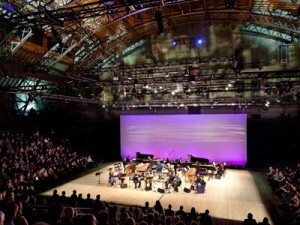 His performance of Steve Reich’s Music for 18 Musicians at the tune-in festival was called the “best mixed performance of the piece I have ever heard” by Martin Bresnick.